This torc is special order only. Delivery time may be several weeks. 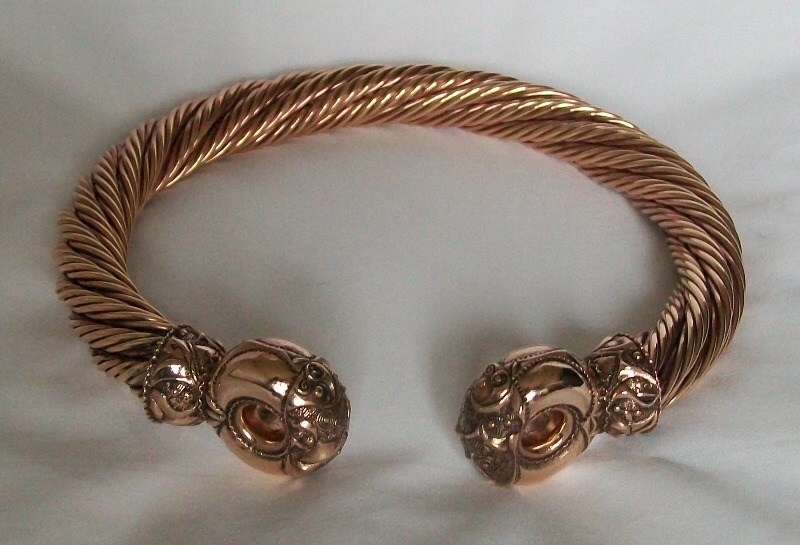 A replica of the famous torc found at Snettisham. Slightly smaller than the original one, but still a very large and very heavy item. Cast Bronze terminals fixed onto hand-twisted bronze wire. Length of terminal from wire twist to tip approx 49mm. Handmade in UK by Ganderwick Creations.